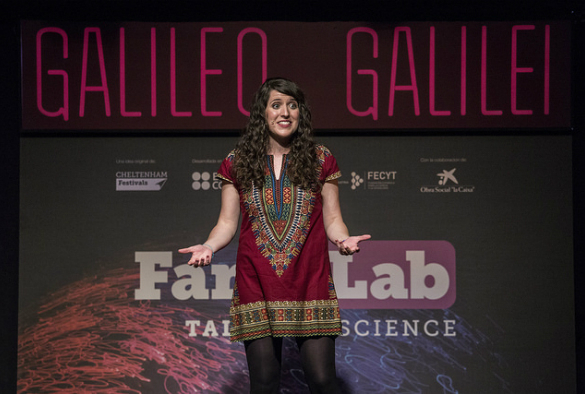 A passionate and engaging talk about Ebola saw University of Liverpool PhD student Raquel Medialdea crowned third in the national final of FameLab Spain, which celebrates effective science communication in young scientists. Watched by a 400-strong audience, Raquel performed alongside seven other finalists in front of the King and Queen of Spain at the event in Madrid on 17 May. Raquel, 26, was born in Gijón in northern Spain, and joined the University’s Institute of Infection and Global Health in 2014. Her PhD at the NIHR Health Protection Research Unit in Emerging and Zoonotic Infections is focused on improving the diagnosis of emerging zoonotic infections, like Zika. In 2015 she volunteered to help to fight the Ebola outbreak in Sierra Leone and in 2016 moved to Brazil to help tackle the Zika and Chikungunya Virus epidemic. Drawing upon her experience in Sierra Leone, Raquel won over the crowd with a three minute scientific talk about Ebola, including how it is transmitted, how it can be controlled and what is being done to tackle the current outbreak in the Democratic Republic of Congo. A keen science communicator, Raquel has also given talks about her work to schools and the public at events like Pint of Science, has written for The Conversation, and is part of a public engagement project working to help families affected by Zika virus in Brazil. Professor Tom Solomon, lead for public engagement in the Faculty of Health and Life Sciences said: "Raquel has done fantastically well. She has shown that it is possible to be an outstanding PhD student and a brilliant science communicator at the same time. After starting in the UK in 2005, FameLab events are now held in more than 30 countries across Europe, Asia, Africa and the US and more than 5,000 people have taken part. 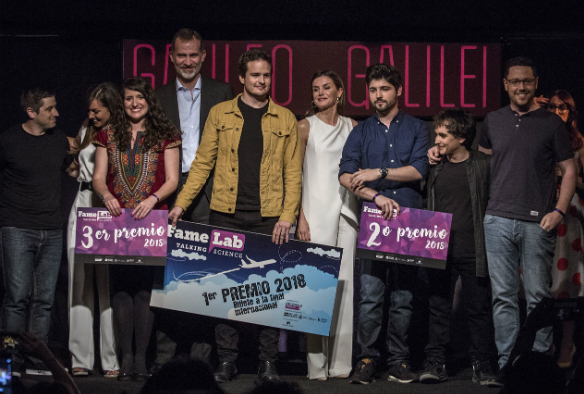 FameLab Spain is organised by the British Council and the Spanish Foundation for Science and Technology (FECYT) with the support of Obra Social ”la Caixa”.